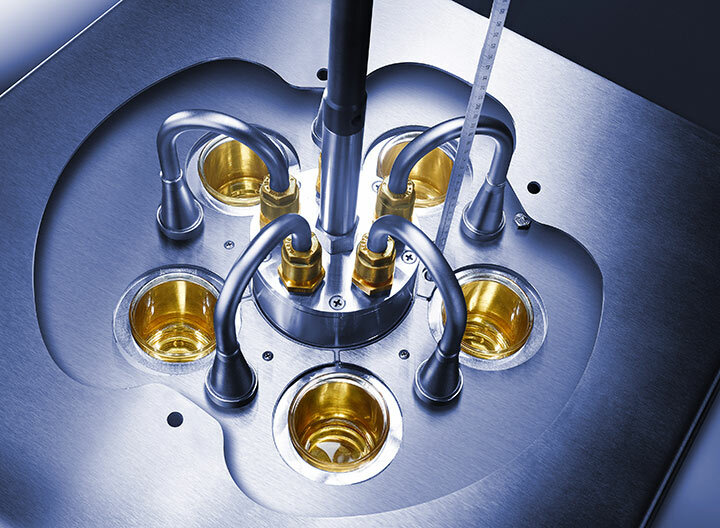 Anton Paar provides a range of highly popular, user-friendly solutions for analyzing various petroleum properties in fuels, lubricating oils, greases, and bitumen. You can analyze the gum content residue, foaming characteristics of lubricating oils as well as the water separability of different kinds of oils. 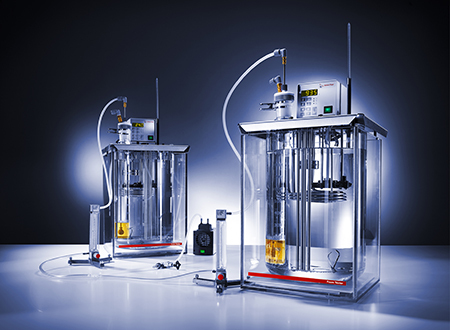 Anton Paar’s instruments are often also applicable for measurements on bio-based products. The gum content is the residue of aircraft fuels, motor gasoline, and other volatile distillates which cannot be evaporated under a flow of air or steam. Like all other Anton Paar solutions for measuring various petroleum properties, Anton Paar’s gum tester is designed for maximum safety. 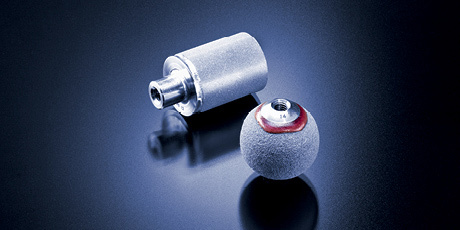 The system’s unique multifunctional head reduces the risk of burn injuries. The gum tester works according to ASTM D381, ISO 6246, EN 6246, JIS K 2261, DIN 51784, FTM 791-3302, IP 131, IP 540. The gum tester has a unique multifunctional head which is specially designed for the safe and simultaneous positioning of all jet tubes. This saves about ten minutes of time for each measurement. All conical jets can be lifted and lowered by one single turn. 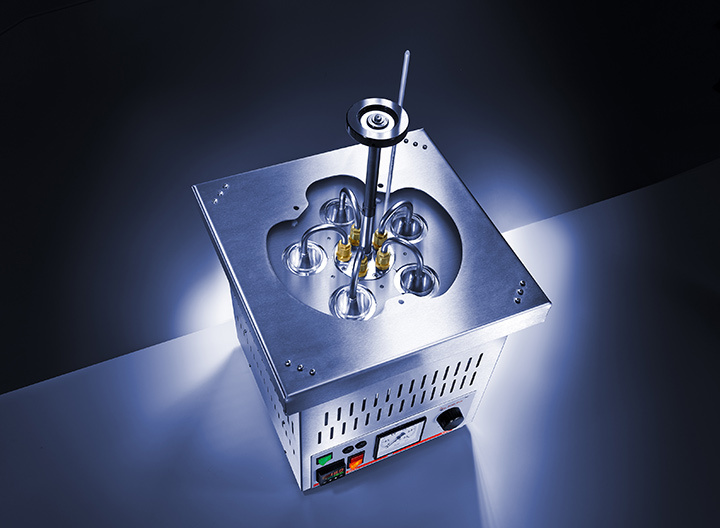 The simultaneous positioning of the conical jets not only enables a fast start of the measurement but also offers a guided positioning to prevent incorrect assembling. In contrast to other potentially dangerous setups, Anton Paar’s gum tester provides the highest level of safety. 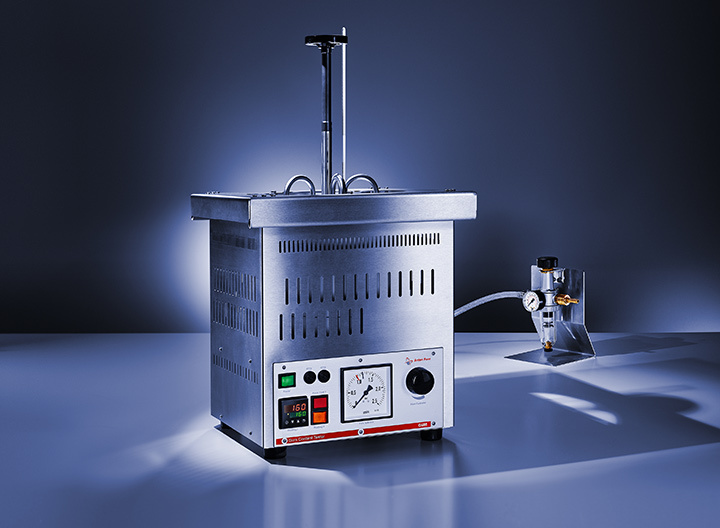 Due to the design of the unique multifunctional head it is not necessary to assemble the preheated instrument or manually handle any hot parts. Different safety features help protect the user. 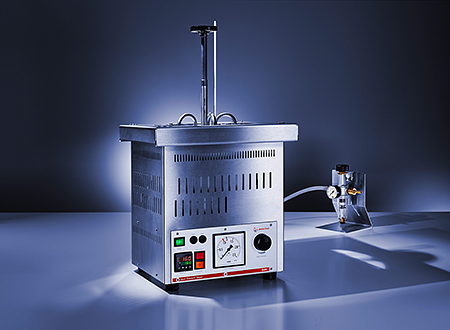 With Anton Paar’s foam tester you can measure the foaming tendency and the foam stability of lubricating oils for high-speed gearing and high-volume pumping systems at specific temperatures. 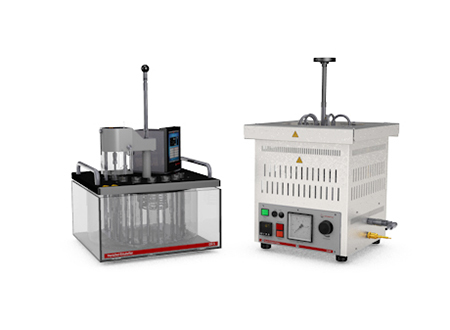 Its twin-bath arrangement with various accessories also allows high-temperature tests according to ASTM D6082 sequence IV and the methods ASTM D892, ISO 6247, JIS K 2518, and IP 146. 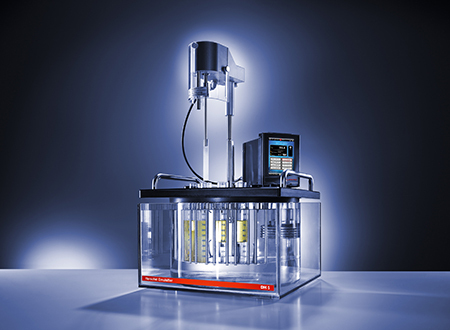 The Anton Paar emulsifier DH 5 measures the ability of petroleum oils or synthetic fluids to separate from water in water-oil emulsions. 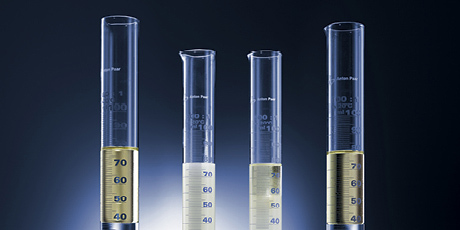 The Herschel emulsifier is equipped with all the components you require for complete compliance with the standard methods ASTM D1401, ISO 6614.